Home Sports BYU BYU-Utah rivalry in matrimony: Where does the blood bleed true? 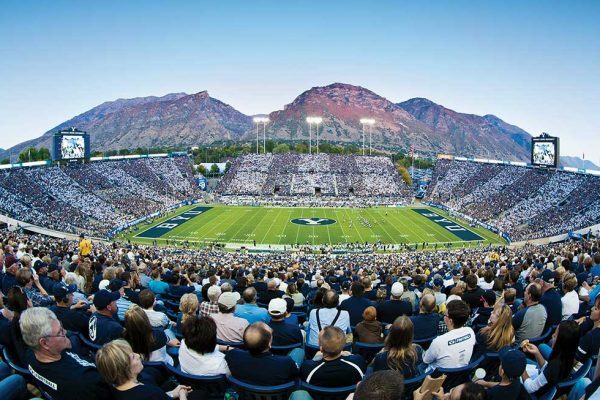 BYU-Utah rivalry in matrimony: Where does the blood bleed true? 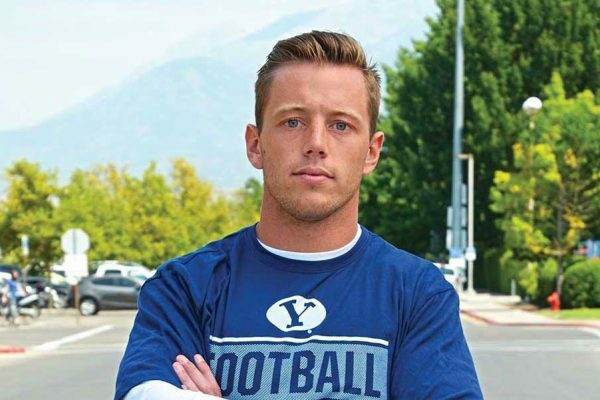 BYU fan Jeff Spear remembers watching the BYU-Utah football game in 2012 when he started receiving rivalry-smack text messages from a stranger, or at least from a number he didn’t recognize. It took him a while to figure out who the perpetrator was. By the time he did, all he could do was laugh. Cambri McDonald, who happens to belong to a family of die-hard Ute fans, was behind the text messages. And because of those texts, Jeff didn’t really mind the fact that his beloved Cougars dropped the third straight game to the Utes that night. Cambri and Jeff grew up in the same Cedar Hills ward. 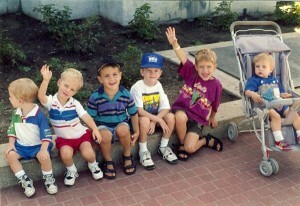 During their youth, they were somewhat aware of each other and their parents have been longtime friends. But because Jeff is almost five years older than Cambri, they never ran in the same circles. Weeks prior to the 2012 BYU-Utah game, Jeff and Cambri had become Facebook friends and Jeff had given her his phone number. After that night, they continued to trade texts, then they talked on the phone and started dating. The next summer, they got married. Sometimes romances start in the strangest ways. No, this isn’t your typical love story. Their marriage has required some adjustments, just as all marriages do. But Jeff and Cambri Spear are proving that while the rivalry is a strong force, love is even stronger. That’s a good lesson to remind ourselves of, now that BYU and Utah are about to play each other in a regularly scheduled game — for the first time since 2013 — on Sept. 10 at Rice-Eccles Stadium. 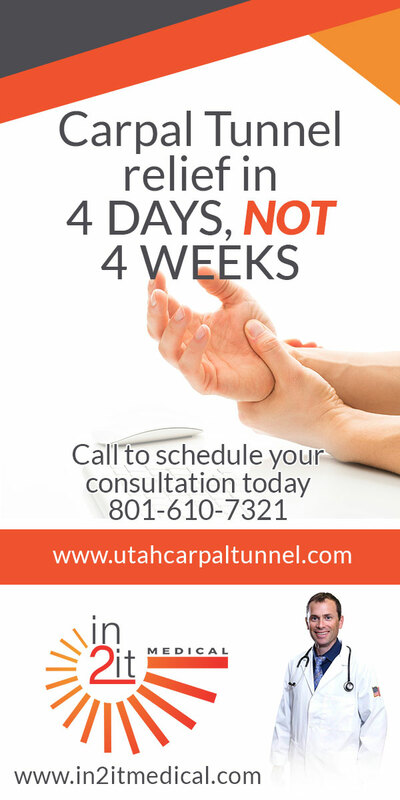 The Utes have won five consecutive games against the Cougars. 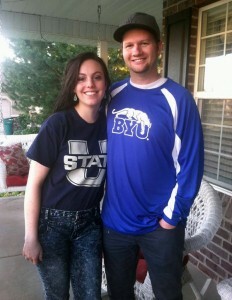 Jeff and Cambri Spear’s relationship began because of the BYU-Utah rivalry. But it didn’t really affect them until after they were married. It’s like they say: when you marry a person, you marry their entire family. 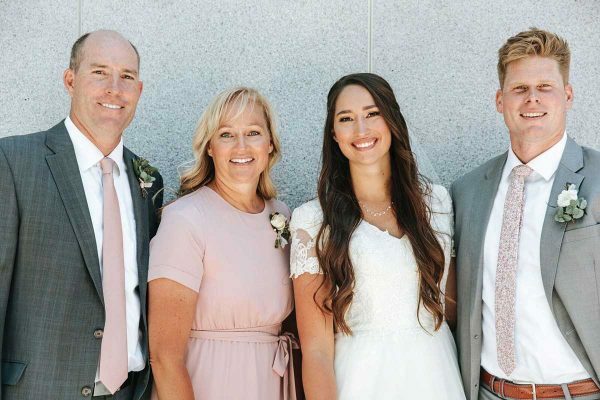 Jeff married into a Utah family and Cambri married into a BYU family. They’ve accepted it. And they’re planning around it. 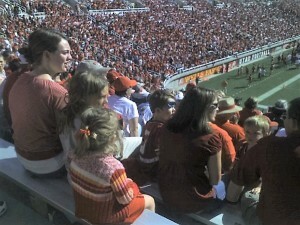 For example, when the couple has children, they won’t let the rivalry interfere in the way their offspring form allegiances within the rivalry. Not that this is the first time Jeff has had to deal with Utah fans in such an up-close-and-personal way. One of his mission companions, when he served in Canada, was Griff Robles. At the time, Robles was on scholarship as a quarterback at Utah. 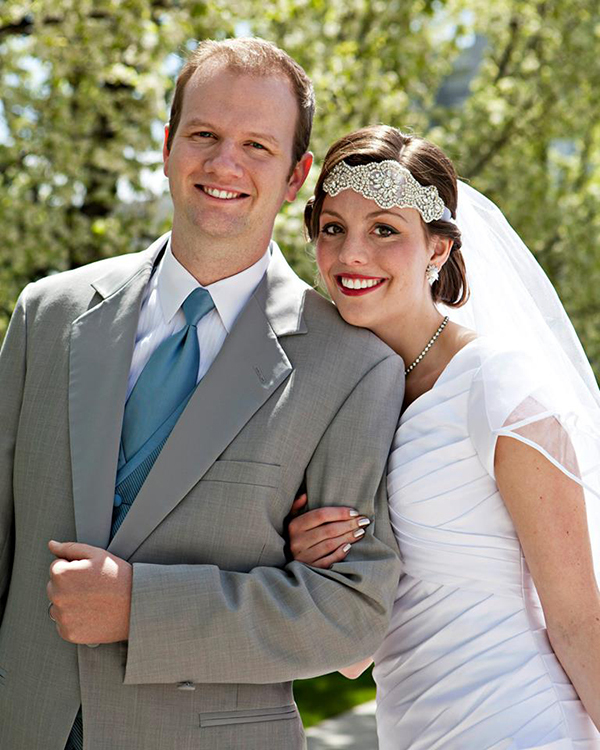 When Jeff and Cambri met, he was a BYU student and she was attending Utah State. After they got married, Jeff left Provo to go to school in Logan while his wife finished her degree. 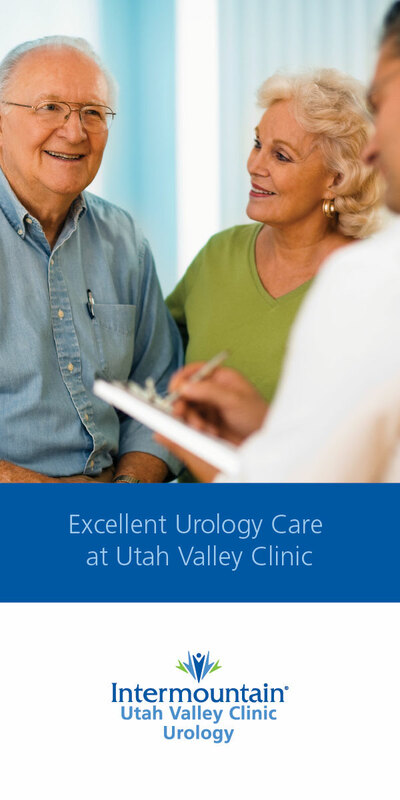 In August, Jeff enrolled at Utah for graduate school. That’s right, this true blue Cougar fan is now a Utah grad student. And Cambri is proud of how Jeff’s grad school experience is working in her favor. These days, they’ve both changed their views somewhat on the rival school. And that is Jeff’s victory. Jeff concedes that he watches Utah games more than he ever did before. While Jeff is an unabashed, hard-core BYU fan, Cambri prefers to put football in perspective. She doesn’t get too hung up on the rivalry. For her, cheering for the Utes and going to Utah football games was part of her childhood. 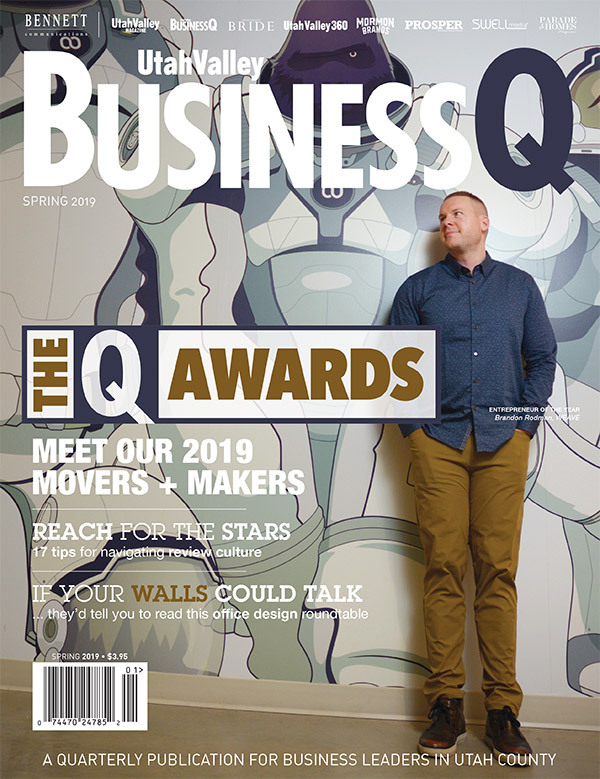 Besides having a little schoolgirl crush on former Ute quarterback Alex Smith years ago, she doesn’t become emotionally involved. She adds that as a Utah State student, when Utah played the Aggies in Logan, she cheered for USU. “But I felt conflicted,” she says. For Jeff, BYU and the rivalry are in his DNA, and it’s not likely going away anytime soon. Cambri says Jeff can get emotionally invested in sports, especially when it comes to BYU. Last December, when BYU and Utah squared off in the Las Vegas Bowl, Jeff was looking forward to the matchup. But then the Utes jumped out to a 35–0 lead in the first quarter. Jeff spent the rest of his day escaping reality by doing some very practical things during the game. He got a flu shot. He got the oil in his car changed. BYU rallied to cut the deficit to 35–28 in the fourth quarter, but Utah held on for the victory. 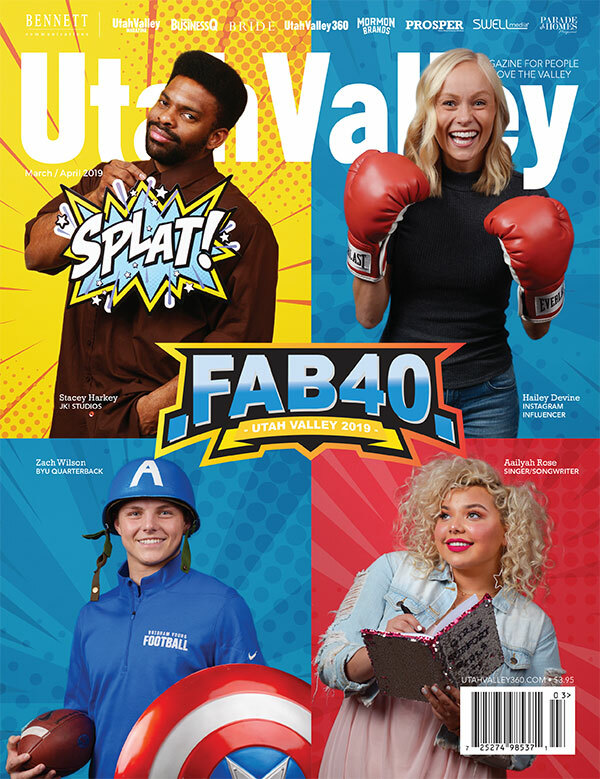 With coach Kalani Sitake, who spent 10 years of his coaching career at Utah, taking the reins of BYU’s football program, the rivalry may reveal a kinder, gentler side. Maybe. Sitake and Utah coach Kyle Whittingham worked together for a decade and are good friends. And Sitake hired a bunch of other former Cougars on his staff like Ty Detmer and Ed Lamb, who are almost universally respected, even by Utah fans. Now that the much-anticipated BYU-Utah game is swiftly approaching, how will the Spears handle watching this year’s showdown? Jeff jokes about watching it with the raucous, red-clad MUSS — the Mighty Utah Student Section — since he is now a U student. “You’re not watching it in the MUSS,” Cambri tells him. Both sets of in-laws on opposite sides of the rivalry coming together to watch BYU and Utah? That might be even more entertaining than the actual game. 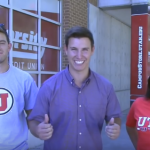 Even amid a heated rivalry, can’t Utes and Cougars just get along? Yes they can. Just ask Jeff and Cambri Spear.